I bottled the dried naartjie (tangerine) peels that have been curing on the loft. The fragrance of the peels, as I cut them into smaller pieces, was amazing. I could immediately understand why it was used in meals at a time when herbs and spices were not as readily available. 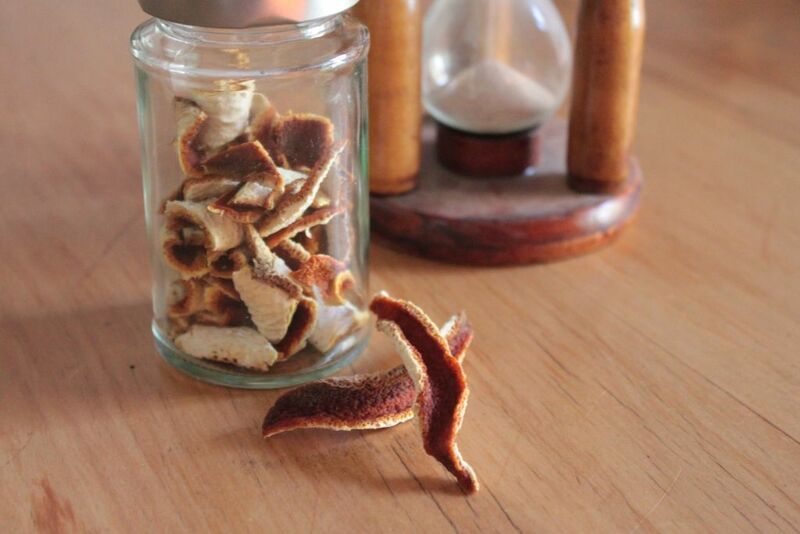 In the old Cape cookbooks, there will always be a recipe that includes dried naartjie peel. 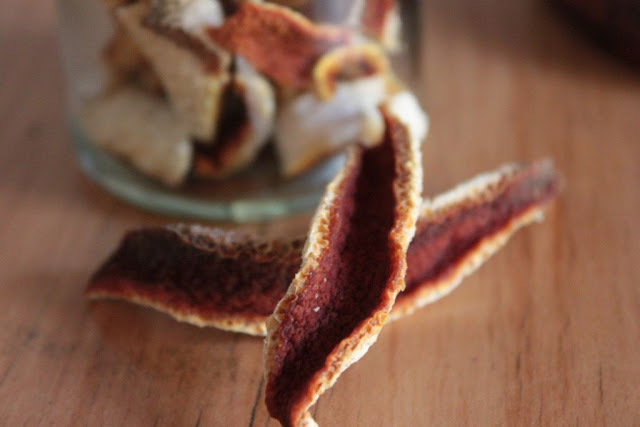 The dried peel was used in both salt and sweet dishes. From koeksisters, oblietjies (crisp wafer-like biscuits that were cooked in a special waffle iron and rolled to form a cylinder), tameletjies (a sweet made from sugar, water, eggs, naartjie peel and pine kernels), to milk tarts. Savoury dishes featuring the versatile peel included bobotie, lamb stews, sweet potatoes and some curries. 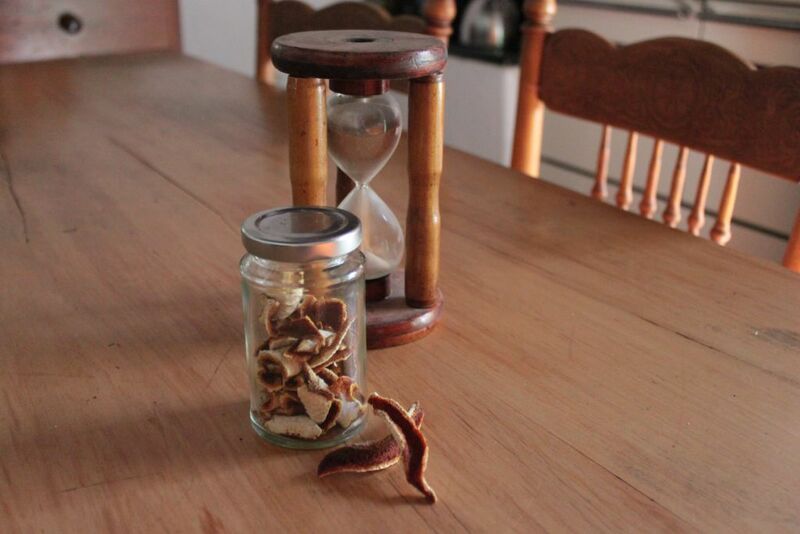 I waited a long time to have some organic Cape naartjie peel to dry for use in the Towerwater kitchen. I now hope for more organic peels to dry next year so as to have an abundant stock for use in traditional meals. Fascinating. 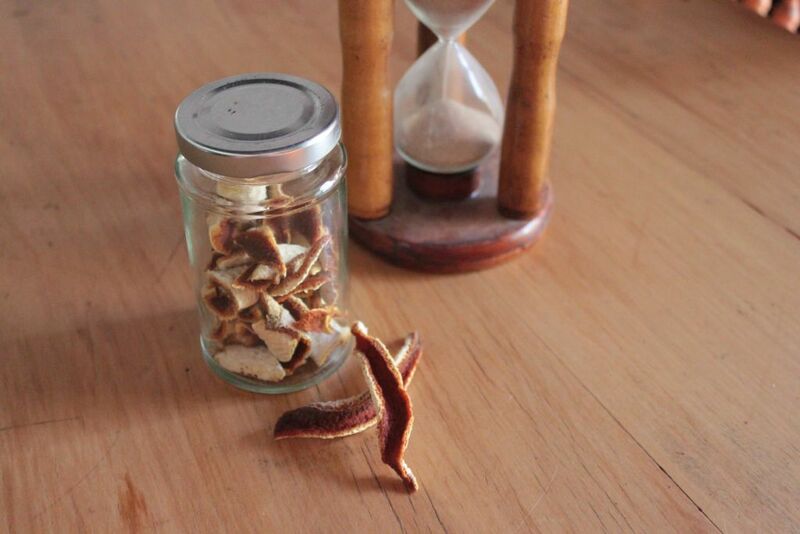 Quite a process to finally have your own organic naartjie peel. I can’t wait to see what dishes you will prepare with this ingredient. Thanks for the interesting post.